As I look out my kitchen window, I can see our breeding herd grazing happily in a field of organic rye. This is our young breeding herd. Born under oak trees a year ago, they have made their way in the world without a trace of antibiotics. How can this be in a world where close to 99% of all conventional pork at the grocery store ingested antibiotics everyday? The answer is simple. 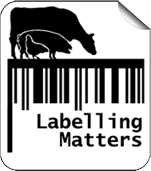 High welfare pigs are by nature healthier, happier, less crowded and cleaner than low welfare pigs. 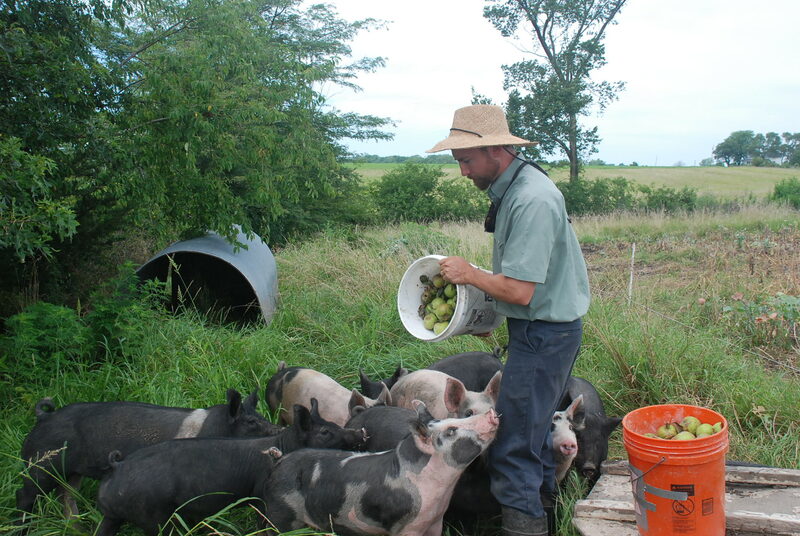 At Singing Prairie Farm in rural Missouri we raise pigs in small groups of around 12 individuals per group. We usually have several of these groups rotating around the farm at any given time. They are rotationally grazed with the use of a single strand of solar powered electric fence which we can roll up in a device that looks like a very large fishing reel. Trod in fence posts and moveable shelters complete the picture and allow us to quickly and easily rotate them to clean fresh pasture regularly. Our favorite practice involves moving the pigs every three days (although in dry weather we may leave them in place for as long as a week). We rotate their rain shelters every two days so as to always have fresh green grass under their skin. While there are a few other management details that help us avoid antibiotics (such as apple cider vinegar in their water), the above mentioned strategy of quick rotations is really our silver bullet against disease. Keeping the pigs stress free, clean and active on fresh green grass has virtually eliminated the need for antibiotics on our farm. I’m sure you all noticed that word “virtually”? Well after raising hundreds of pigs on our farm over the last seven years we did make use of antibiotics in one occasion. 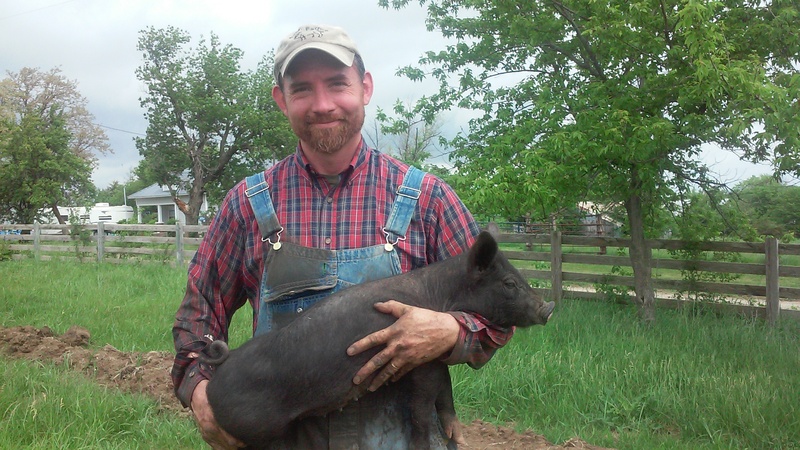 After a long wet spell in May, two newly weaned pigs came down with pneumonia. 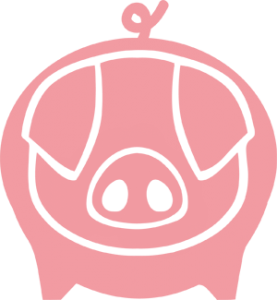 After studying the situation I decided that I would use antibiotics on my pigs, the same way I use them on myself if I had pneumonia. We believe this is the appropriate use of antibiotics…only when it will alleviate a great deal of suffering and there is no other obvious alternative. Each pig got a small dose of penicillin 1x per day for two days. After that they were recovered and back with their family pack and never again required medication. Seven years of experience and hundreds of pigs later we find that the same mantra holds true: Given space, freedom, fresh air and green grass under their hooves, the pigs’ natural immune system should prove all it needs to keep on smelling the roses.